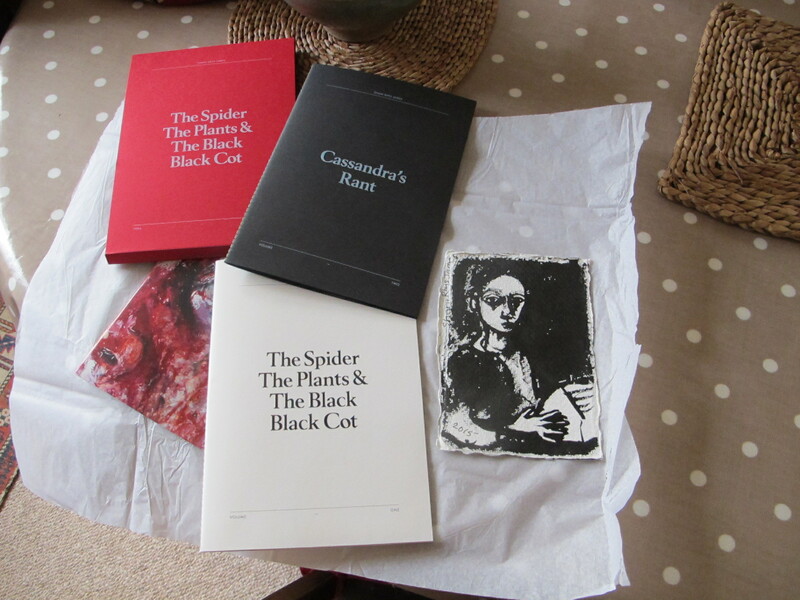 Three Books by Artist Shani Rhys James! 3 volume boxed set available 14th February to accompany the major new Rhys James exhibitions ‘Distillation’ at Gregynog Gallery National Library Wales (paintings) and ‘Cassandra’s Rant’ at Ceredigion Museum Aberystwyth (automata) with vol. 1 texts by Iwan Bala, Peter Lord, Francesca Rhydderch and Dai Smith; vol. 2 Cassandra’s Rant with texts by Emma Geliot and Alice Briggs and illustrations of automata sculpture; Vol 3 colour illustrations of paintings over 30 years of the career of Shani Rhys James. Go to page Online Shop to order – NOTE! first 50 copies SOLD! 350 more available on this site. Diana obtained these wonderful books produced by the artist Shani Rhys James – the first 50 came with a drawing by the artist herself – Diana is thrilled with hers and is looking forward to framing and displaying it. The next 50 will have a drawing included on one of the covers. If you would like your set go to http://www.dolpebyllstudiopress.uk/page7.htm – you will be delighted. It’s a feast. « “23 Hounds”!!!! Exhibition and Book Launch at The Willow Gallery!